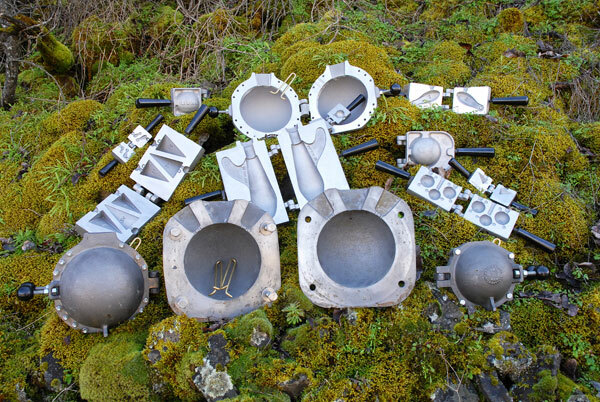 Yep, We build cannon ball molds, and we build them big! 100070 N/A CB-7 1 ea. 7 lbs. 100100 N/A CB-10 1 ea. 10 lbs. 100150 N/A CB-15 1 ea. 15 lbs. 100200 115200 CB-20 1 ea. 20 lbs. 100250 115250 CB-25 1 ea. 25 lbs. 100300 115300 CB-30 1 ea. 30 lbs. 100350 115350 CB-35 1 ea. 35 lbs. 100400 115400 CB-40 1 ea. 40 lbs. 100450 115450 CB-45 1 ea. 45 lbs. 100500 115500 CB-50 1 ea. 50 lbs. N/A 115600 CB-60 1 ea. 60 lbs. 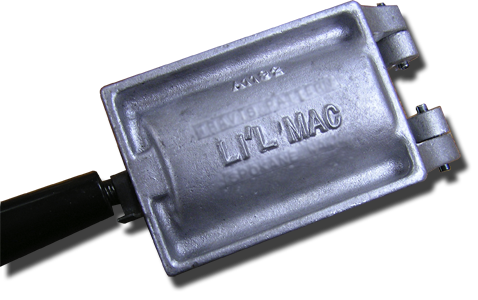 Specify aluminum or cast iron when ordering. 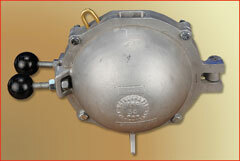 (Insert) CB-00 Wire Form. One insert fits all commercial molds. Shipping weight of cast iron is three times that of aluminum. Self-supporting base, sizes from 7 lbs. to 60 lbs., slots for CB-00 Brass Wire Form (3/16" diameter). Clamping bolts to ensure a face-to-face fit. Heat resistant knobs on steel handles for ease of operation. Available in rugged, light-weight aluminum or sturdy cast iron. Large 9/0 and 12/0 Barrel Swivels Available.